In an upsetting video, a man beats a tiny dog with a whip, forcing the dog to pull her in a cart across a busy city street. When the terrified dog flattens to the ground, the man beats her again to make her keep moving. When this video went viral earlier this year, it sparked outrage in the animal-loving community — so much so that a few individuals decided to do something about it, and found a way to rescue the dog. After watching the video several times, team members from PETA Asia identified the chain store in the background, and they contacted the headquarters. When Guo and a few colleagues knocked on the man’s door, no one answered. But they didn’t give up — they kept knocking and waiting. They also spoke to neighbors, who told them that the man didn’t just have one dog, but two. Guo and the others decided that they weren’t going to leave without the dogs — but they were anxious as they waited to confront the man. Finally, the man opened the door. “We nicely explained that a video showing him beating his dog was being watched all over the world and that he should be ashamed,” Guo said. 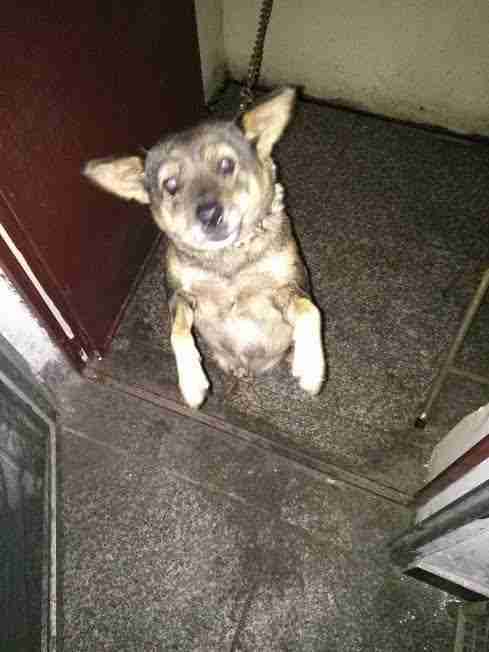 When Guo and her team asked for custody of the two dogs, he initially refused. But they refused to give up — they asked again. “Finally, he relented and gave them to us,” Guo said. 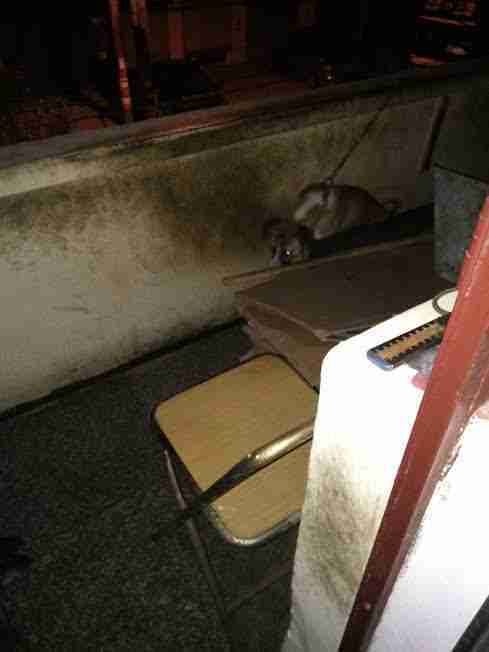 They found the two dogs chained up on a balcony without access to food or water. 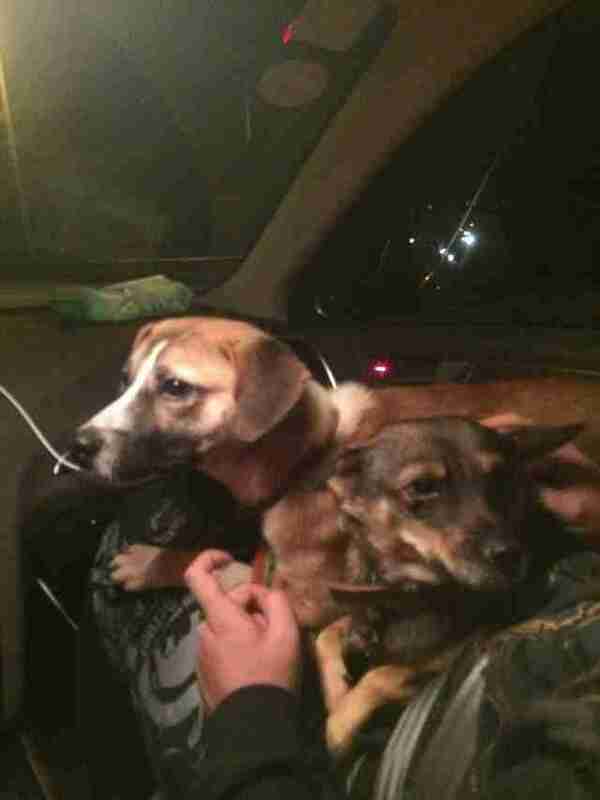 The rescue team got them out of there as quickly as possible, putting them into a car and driving them to a secure location. “They were calm, and we did everything that we could to comfort them,” Guo said. The team also gave the dogs new names — they called the dog from the video Sugar, and the other dog Bean. The morning after their rescue, the dogs went for a stroll outside. “This was their first walk as free dogs, and they really enjoyed exploring and smelling new scents,” Guo said. 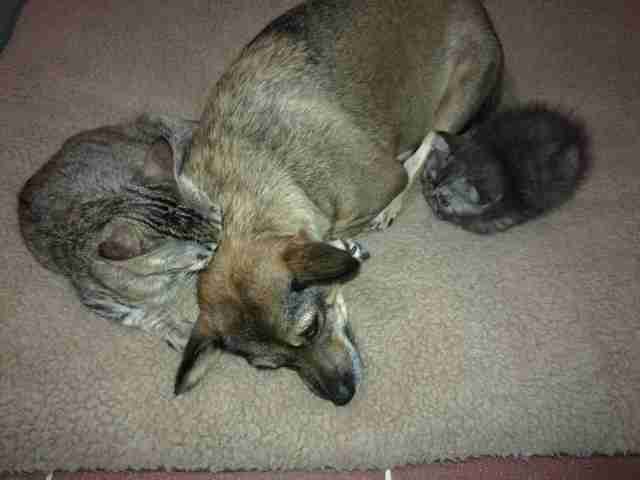 After that, they went to the vet for a check-up, and then went into foster care, where they were showered with love. Soon, Sugar and Bean found the perfect forever homes. 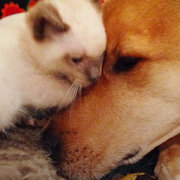 While Sugar and Bean got a very happy ending, there are many more animals like them who still need help. Yet Baker explained that public sentiments are changing, and that many people in China are starting to fight for kindness toward animals. 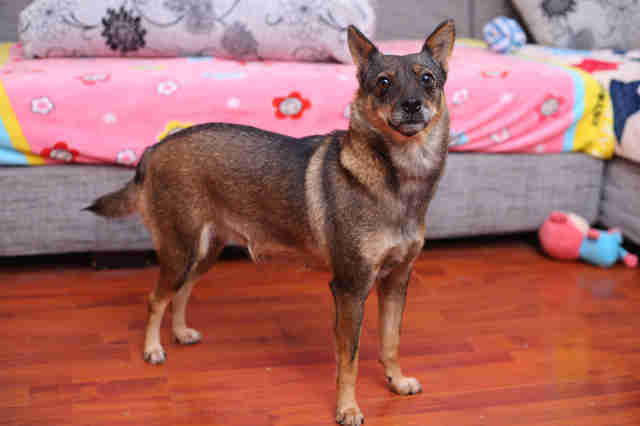 To help rescue more dogs in China, and to support PETA Asia’s animal cruelty investigations, you can make a donation.